My weight problem started after my first pregnancy. Until then, I was active in aerobics classes and didn’t worry about my weight. During my pregnancy, I took a break from exercise and didn’t give a thought to what I ate. I gained 50 pounds and lost 35 pounds after delivery. A year and a half later, I became pregnant again and although I only gained 35 pounds during this pregnancy, I lost a mere 20 of them after the birth of my daughter. 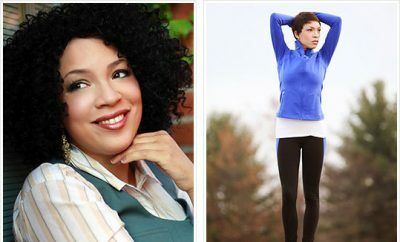 In total, Icarried around 30 pounds of “baby fat.” I returned to aerobics classes while eating as much as I ever did. I didn’t lose any weight and I was un-happy with the way I looked. I eventually accepted that I was destined to weigh 155 pounds. Then I read Oprah Winfrey’s book Make the Connection and it inspired me to try again. My New Year’s resolution was to lose weight. Since I already exercised regularly, I knew I had to make some changes in my eating habits. The book taught me the importance of portion sizes and I started measuring how much I ate. I also cut out high-fat red meat, sweets and soda; adding fish, chicken, salads and beans to my diet. In addition, I started drinking lots of water. I lost 12 pounds in two months and as people started noticing the difference, it motivated me to keep eating healthfully and exercising. I kept a journal to track what I was eating daily. I still craved sweets, so I treated myself once a week while I was losing weight. 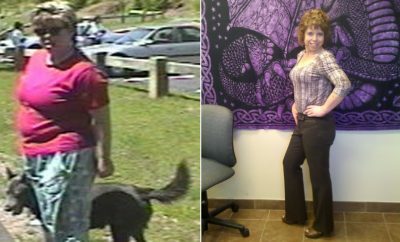 When I reached my goal weight, I learned that I could still enjoy sweets and all my favorite foods in moderation. To shake up my exercise routine, I decided to train for a 10k. Training for the race not only changed my exercise routine to prevent boredom, but it also worked my muscles in a new way. I finished the race in under an hour and now I’m training for another race. In addition to running, I started weight training. I had always heard that weight training was important, but I didn’t believe it until I tried it. 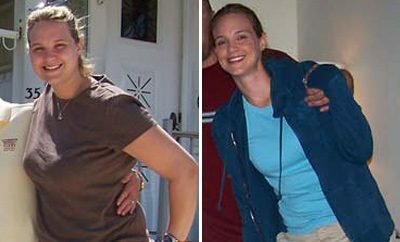 Weight training defined my muscles and jolted my metabolism, which helped me lose weight. I reached my goal weight by the end of the year and have stayed there for almost three years. I’m now healthy and energetic enough to keep up with my daughters. I know that a healthful diet along with exercise, both cardiovascular and weight training, are the keys to successful weight loss. I’m now an aerobics instructor and hope to help other women reach their goals to become healthy and happy.